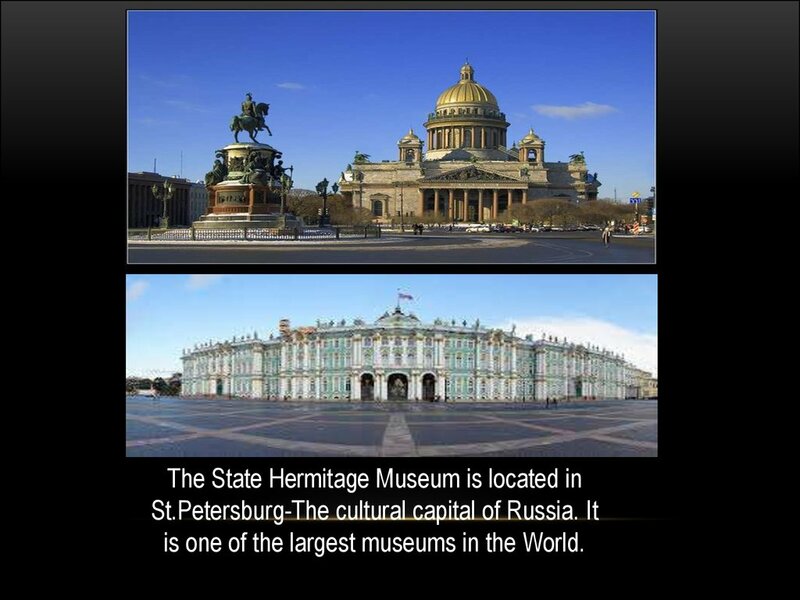 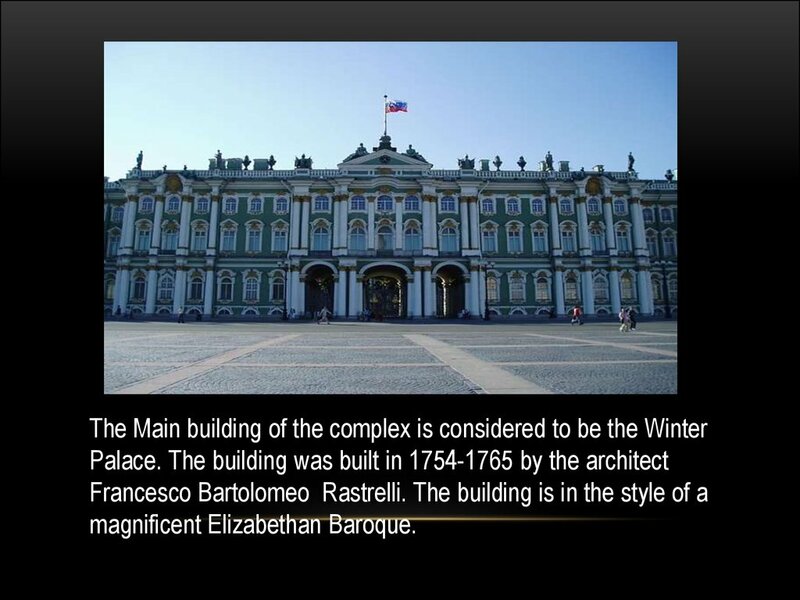 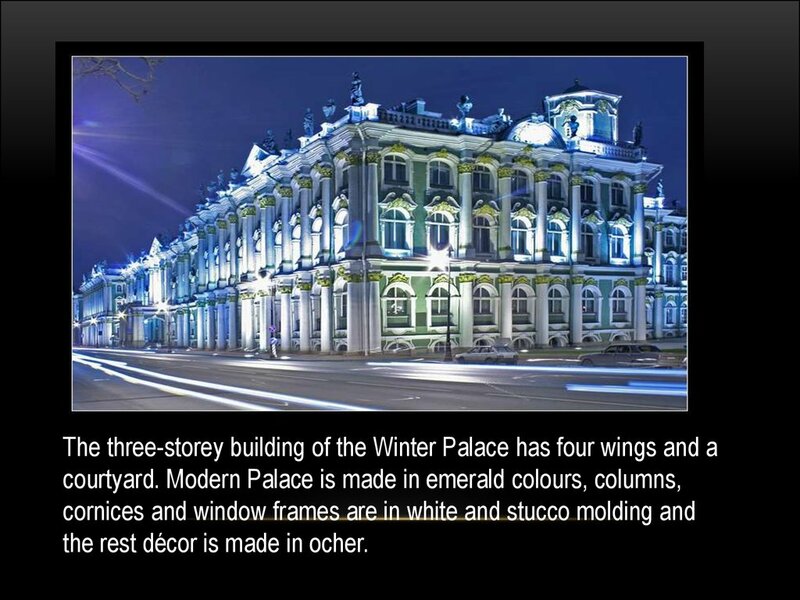 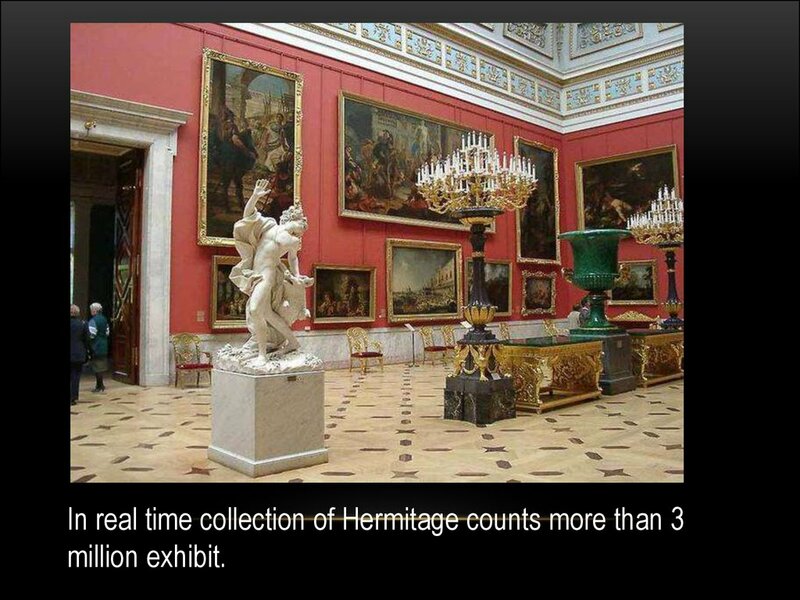 is one of the largest museums in the World. 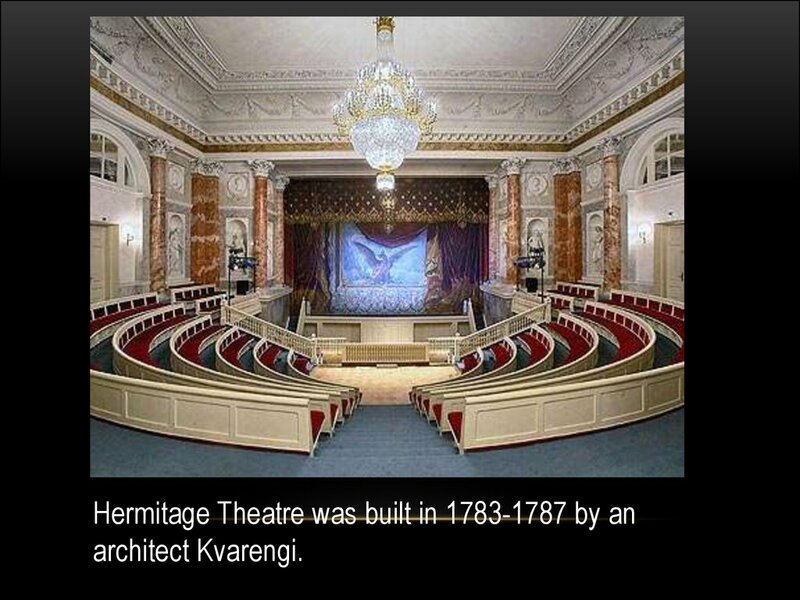 open to visitors in 1852. 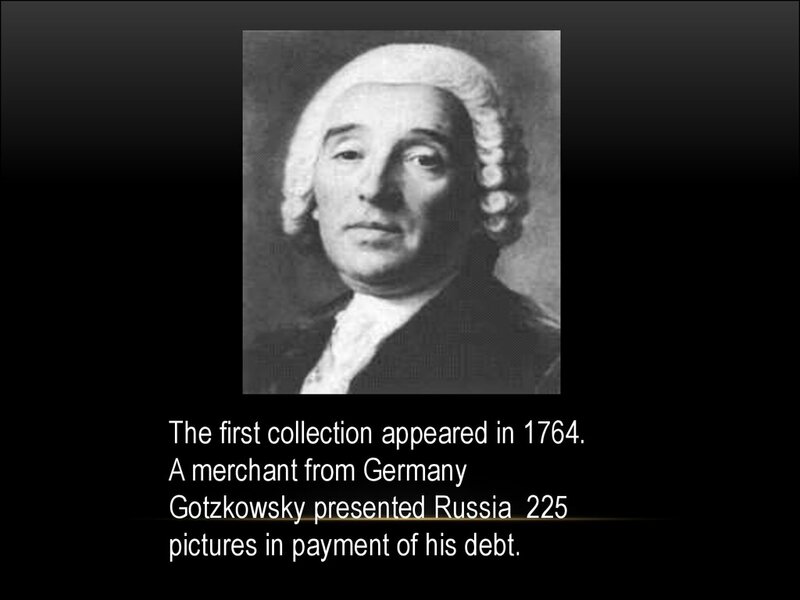 The first collection appeared in 1764.
pictures in payment of his debt. 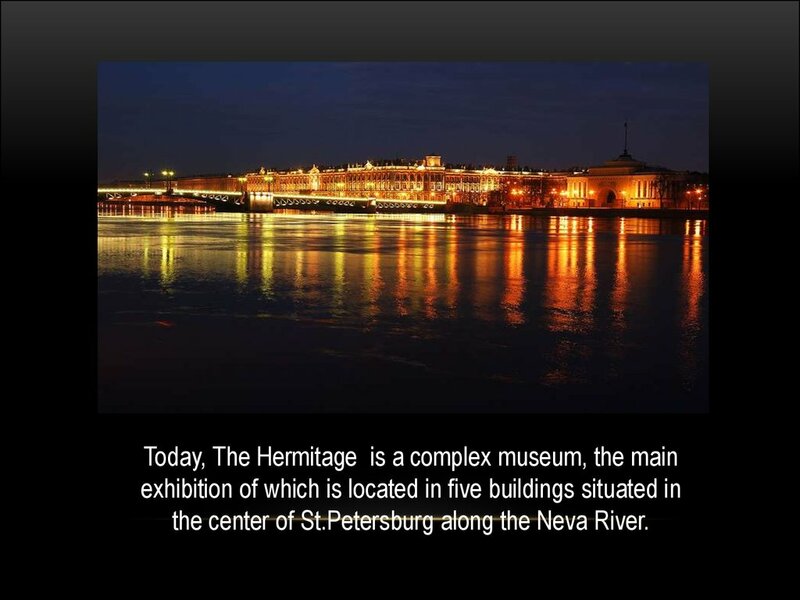 the center of St.Petersburg along the Neva River. 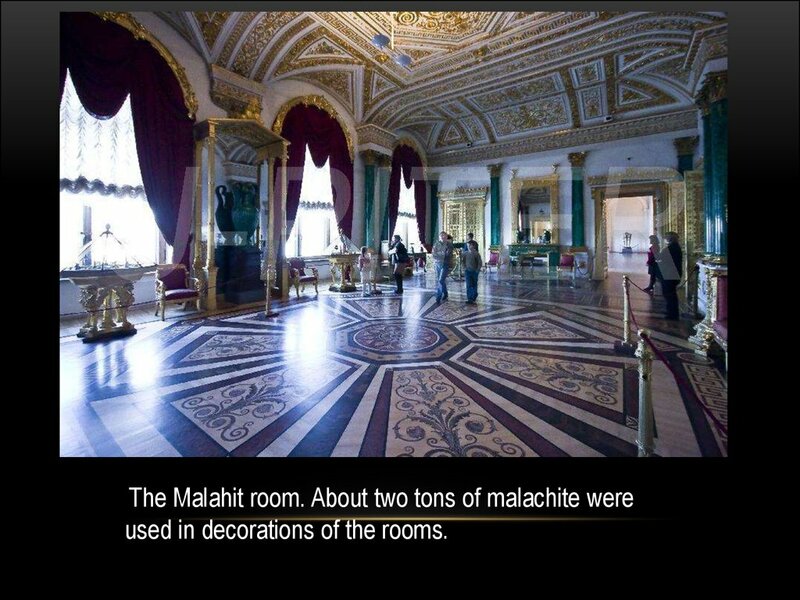 the rest décor is made in ocher. 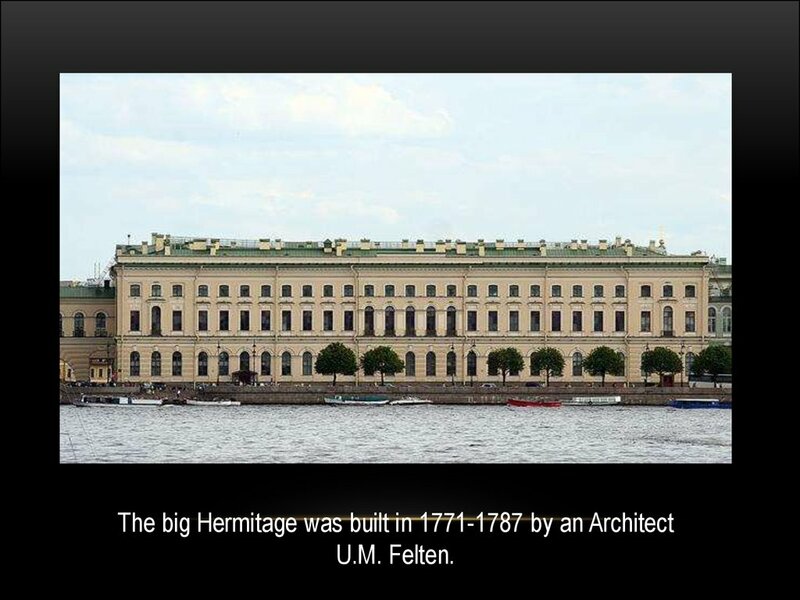 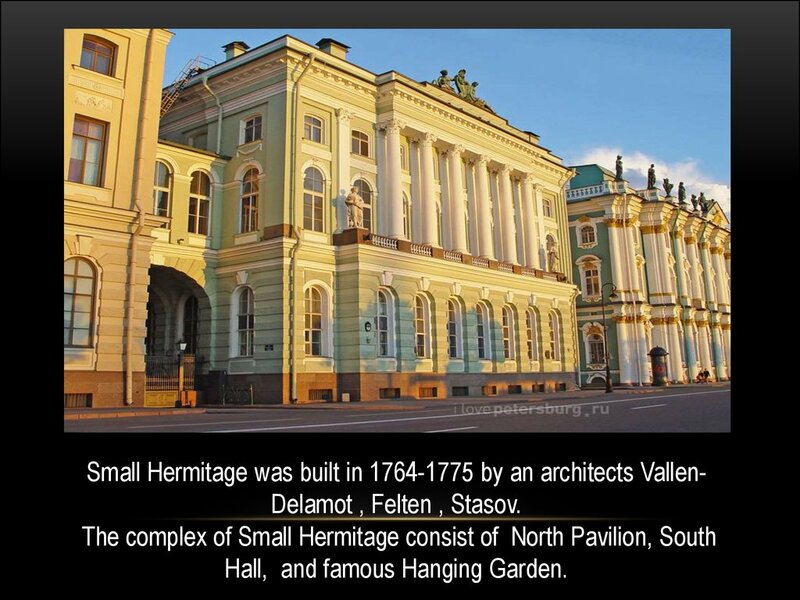 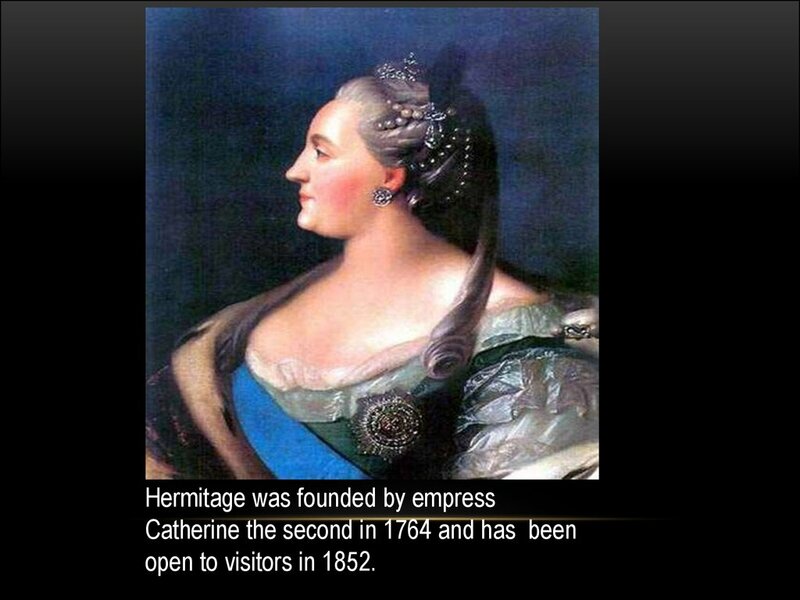 Small Hermitage was built in 1764-1775 by an architects VallenDelamot , Felten , Stasov. 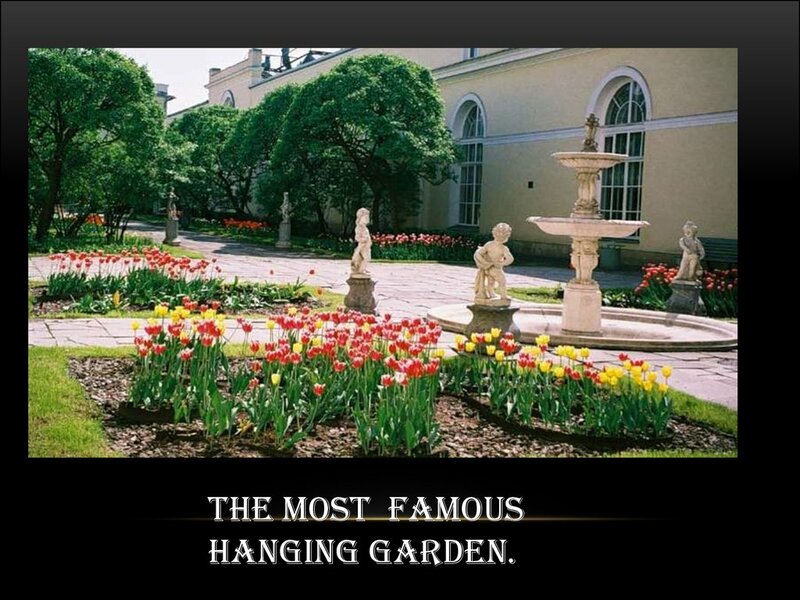 Hall, and famous Hanging Garden. 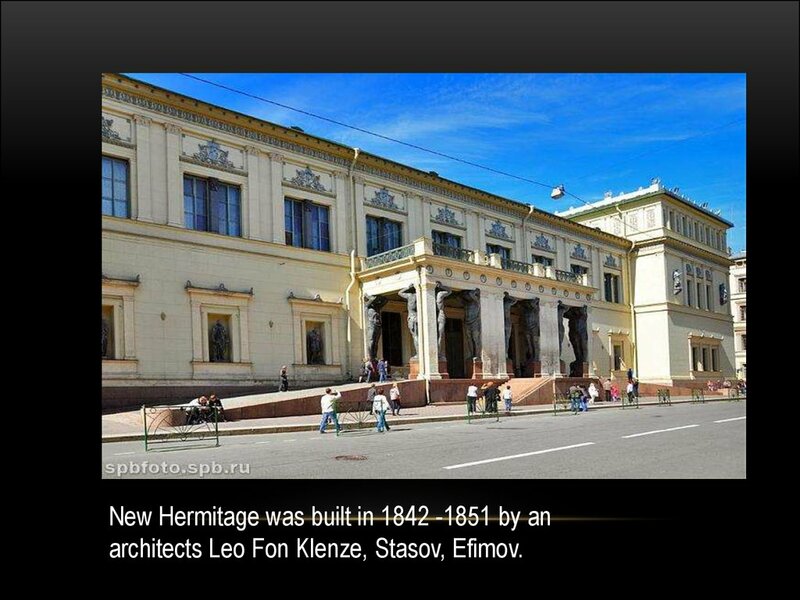 architects Leo Fon Klenze, Stasov, Efimov. 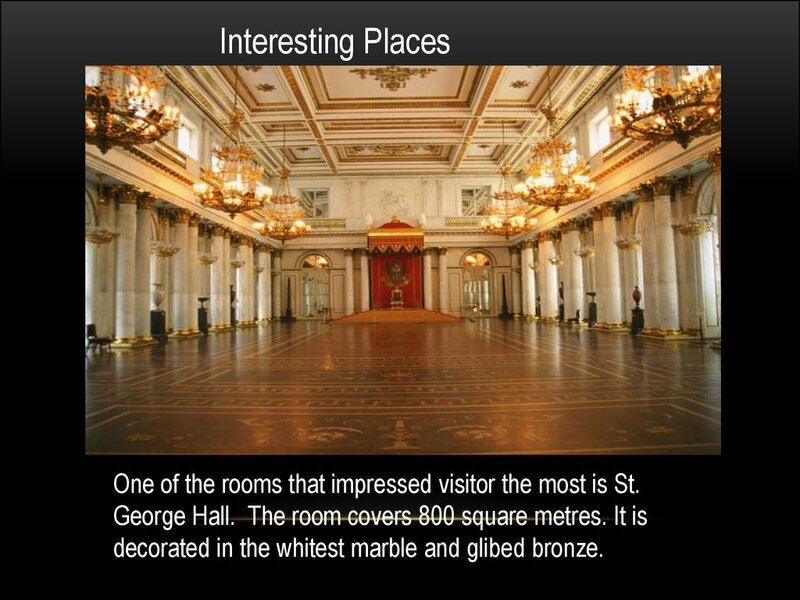 One of the rooms that impressed visitor the most is St.
decorated in the whitest marble and glibed bronze. 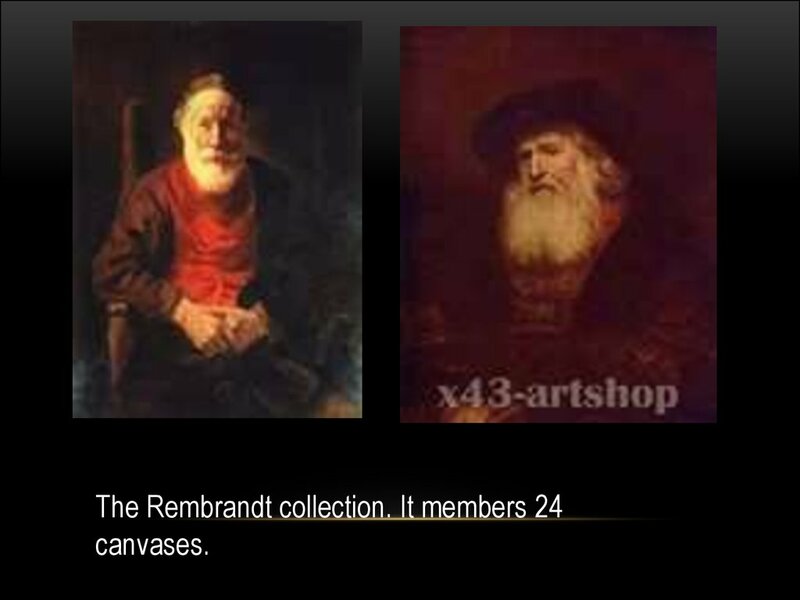 used in decorations of the rooms. 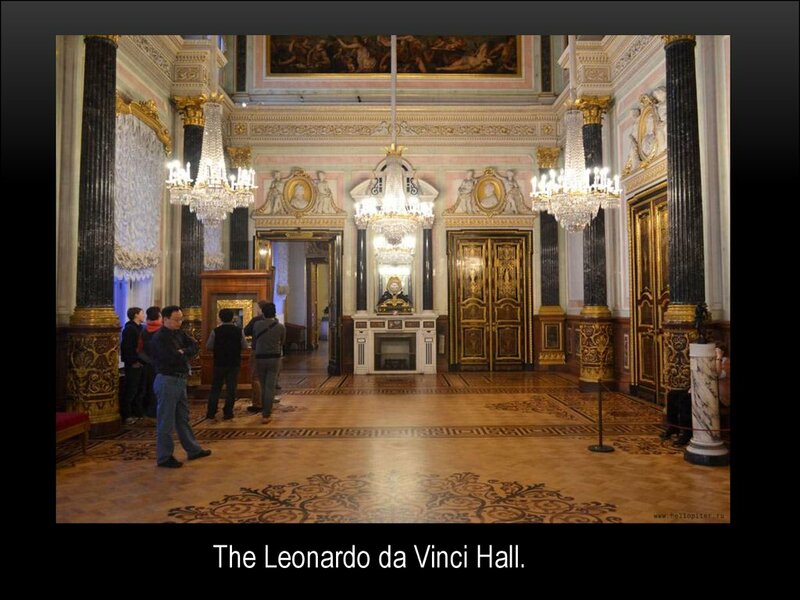 The Leonardo da Vinci Hall.